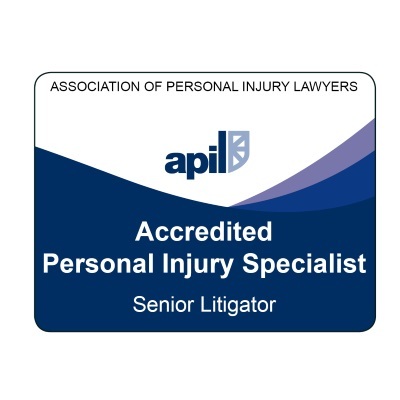 Do you have freedom of choice of personal injury solicitor? You are here: Home / Choosing a Personal Injury Solicitor / Do you have freedom of choice of personal injury solicitor? Humans have an overpowering need to return favours. This is one pillar of the psychology of persuasion explored in Robert Cialdini’s book, “Influence”. The rule of reciprocity is that we feel a duty to repay others in kind for whatever they have done for us. It’s powerful because it forms the basis of all societies: it allowed our ancestors to share resources securely, knowing that their favour would be returned later. If someone else does us a favour, we feel a psychological burden until we return it. We’re afraid of being labelled as a parasite, if we don’t. Many experiments have demonstrated this phenomenon. In one of these – at Cornell University in the early 1970s – Professor Dennis Regan demonstrated that people are so anxious to get rid of the burden of debt that they will perform much larger favours in return for small ones. In that study, a researcher – “Joe” – bought test subjects a 10 cent Coke as an unprompted favour and then later asked the subjects to buy raffle tickets from him. On average, they reciprocated by spending 50 cents on tickets. This was twice the amount compared to where Joe did not buy them a Coke first. “Reciprocation” as a weapon of influence is well-known to marketers. Referring back to the Cornell experiment, scope for abuse existed because Joe was the only one with truly free choices. Not only did he force the debt onto the subjects by buying them a Coke, he also chose the raffle tickets to be their method of reciprocation. You face a difficult choice if you have a legal problem which might only be resolved by going to court. An example of this would be a personal injury claim. Do you give up and accept injustice because of your doubts about the cost and your chances of success? Or do you choose to represent yourself in area where the law is often complex and your one-timer experience will be up against the multi-shotter-with-unlimited-resources that is the insurer you’ll be up against? It does not have to be either of those ways – give up or go it alone – because you may have an alternative means of going with legal representation. Legal Aid or No Win – No Fee may be options but, in this discussion, we’re looking at Legal Expenses Insurance. We’re going to consider three main themes. Firstly, what is legal expenses insurance? Secondly, what are the features of legal expenses insurance? And finally, do you have freedom of choice of solicitor under a legal expenses insurance policy? 1. What is legal expenses insurance? This often hidden away inside a household insurance policy or attached to it as an ‘optional extra’. It usually costs about £25 to £35 per year and covers the cost of legal advice as well as making a claim for your uninsured losses. breach of contract (including consumer contracts). In some cases, legal expenses insurance cover is an addition to a motor insurance policy to cover the cost of certain prosecutions and claims arising from accidents. The level of cover provided usually ranges from £25,000 to £100,000. It is generally intended to cover the cost of your own legal representation and certain awards of costs or expenses made against you if your claim is unsuccessful. 2. What are some important features of legal expenses insurance? Often, there are time limits within which to notify your insurer of your intention to make a claim on the policy. It may be six months or less from the date of loss – so you need to be alive quite quickly to the possibility of claiming or else you might lose the cover your LEI policy might have provided. Annoying! The policy will inevitably contain a clause allowing the insurer to withhold or withdraw funding for legal action if “there are no reasonable prospects of success”. In practice, that’s where the chances of winning are assessed by your solicitor at 50/50 or less. This is absolutely standard across all types of insurance. Your solicitor would advise you against spending your own money on a case with prospects of less than 50%. 3. Do you have freedom of choice in selecting your solicitor for a personal injury claim under legal expenses insurance? The answer is “yes” but insurers don’t make it straightforward. Laws which came to us from Europe make it clear that insurers providing legal expenses insurance cannot prevent the insured person selecting the solicitor of their choice to conduct legal proceedings on their behalf. In spite of this, many insurers’ standard practice is to apply policy terms that prohibit the selection of a solicitor not included on the insurer’s own selected panel of solicitors. As long ago as 2012, a case in the English Court of Appeal made it clear that insurance policy terms which interfere with the insured person’s right to choose the solicitor they want must be “either deleted or comprehensively re-drafted”. The insurer can limit the level of fees payable to keep them in line with what they would pay their own panel solicitors. Insurers’ panel rates are generally low – to reflect the expectation that the insurer will provide the panel solicitor with a high volume of claims. The only restriction on rates is where they are so low that they would render ‘meaningless’ the insured person’s right to choose their own solicitor. In theory, then, freedom of choice of lawyer does exist – at the same time, also retaining the vital protection a legal expenses policy gives you in respect of an opponent’s legal costs, if your claim fails. A possible danger lies in what we might call the ‘reciprocity effect’. Because legal expenses insurance is often available to people who did not even realise they had taken out the cover, it can feel like the insurers are “doing you a favour” by providing the cover. A feeling of need to ‘reciprocate’ can follow from this – just as it affected the people Joe favoured with a 10-cent Coke in the Cornell University experiment. The obvious return favour is to agree to the appointment of the insurers’ own panel solicitors – which the insurer always pushes very strongly. It’s very hard to resist this pressure. If you’ve been injured in an accident and are perhaps off work and losing pay, there’s a significant hassle factor in not following the insurers’ preferred course and using their solicitors. But, resist you should. Remember this: your insurers are not there to serve your interests in this matter. Their eyes are on the referral fee their panel solicitor will pay to them for the privilege of handling your claim. You don’t have to accept the lawyer your insurance company suggests. It’s unlikely to be in your best interests to do so. Instead, find and instruct your own specialist personal injury solicitor. Only they will be fully on your side. Legal Expenses Insurance typically covers the cost of legal advice, for example, for a personal injury claim. It will also cover the cost of bringing a case for your uninsured losses. Watch out for time limits which may apply to notifying the LEI insurer of a potential claim. Note that cover will only be provided from the date the insurers agree – some preliminary work may not be covered. In practice, your solicitor may not be looking for payment for preliminary work – check with them. Also, the insurers will not cover anything and everything. There will have to be reasonable prospects of success – i.e. more than a 50% chance of success – and this will be reviewed periodically as the case progresses. Legal Expenses Insurers will give you a definite steer towards their own panel solicitors and away from your own chosen solicitor – even though your solicitor may well be as expert, specialist, experienced and – probably more so – local than they are. 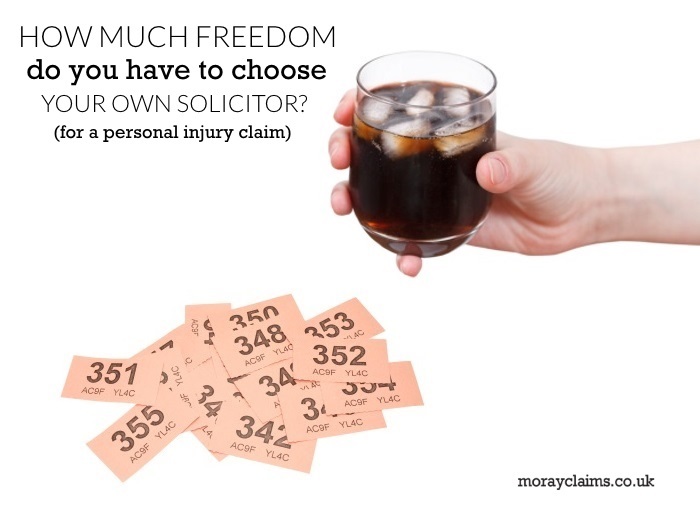 We’ve looked at the question: Do you have freedom of choice of personal injury solicitor? If you have any questions about this article or about any aspect of our personal injury claims services at Moray Claims / Grigor & Young, please get in touch with us. You can send a Free Online Enquiry via either website. You can phone us or email us. 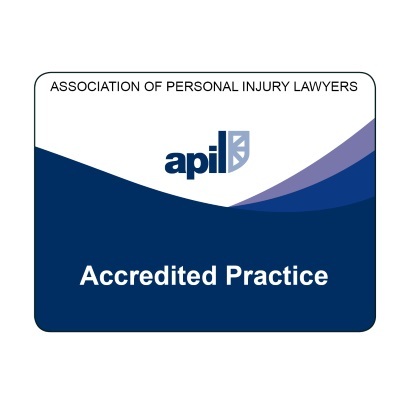 Our accredited specialist personal injury solicitors – Peter and Marie – are on (Elgin) 01343 544077. We’ll help you directly if that seems to be in your best interests. We might refer you on elsewhere if we think that’s a better option for you. 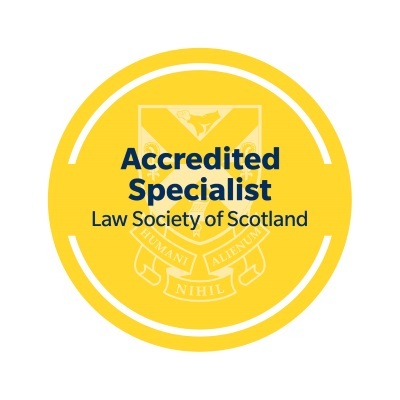 Our main aim is to make sure everyone with a valid claim gets access to the justice they deserve through the solicitor who is best-placed to help them – in terms of expertise, experience and location.